Chances are that if you’re reading this, you might be on the verge of deciding whether or not to do a Spartan Race and wanted a little more information. Or, maybe you DID sign up and just want to know what you’re getting yourself into, in which case AROO! You made the right choice and will have a blast with the whole thing. 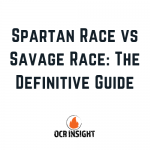 In either case, there are some things you should know about Spartan Race that differentiate it from other OCR races like Spartan Race. Spartan Race is a different animal than races like Warrior Dash vs Tough Mudder, or Rugged Maniac vs Savage Race. Below, we listed some Spartan Race FAQ that will help you understand what you should expect when you’re out there with a few thousand of some other crazy people who want to test themselves against some of the best Spartan Race obstacles. 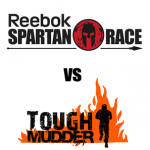 What should I wear to a Spartan Race? 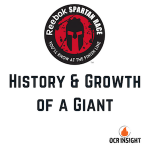 Is Spartan Race harder than…? 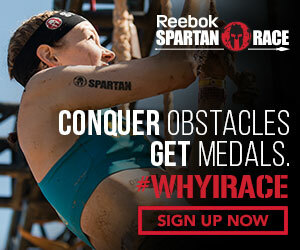 Can anyone run a Spartan Race? Yes. As long as you take training seriously and are ready mentally, anyone can run a Spartan Race (as long as you are 14+ years old). You will see all sorts of people run Spartan Race (my wife ran one while pregnant! ), including handicapped men and women, old and young, skinny and heavy. Spartan Races are as much a mental challenge as they are physical, and as long as you are careful and determined, you can overcome any obstacle and cross the finish line. What is the best way to train for a Spartan Race? What happens if I can’t do an obstacle? There are two answers to this question. By the book, you are supposed to complete a 30 burpee penalty for any obstacle you don’t complete on your first try during a Spartan Race. The truth is, this is rarely policed if you aren’t in a competitive heat. However, you should always try to complete the burpee penalty, but you should also listen to your body. If you are hurting and don’t want to be stuck doing burpees all day long, it’s OK to try an obstacle and just move on if you can’t complete it. Spartan Race’s are meant to be fun and the best way to truly answer some of the above questions is to just throw yourself out into the mud and do a Spartan Race. Make sure you start with a Sprint if you aren’t sure about your fitness level, and keep going. There are always people who will help you along the way and give you tips to get past any obstacle. 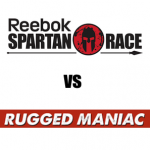 Spartan Race vs Rugged Maniac: Are You Looking For A Challenge or Experience?